As I spend a lot of time in the US, where tacos are one of the most prevalent foods, I started wondering a while ago if any Peruvian dish would make a great taco. 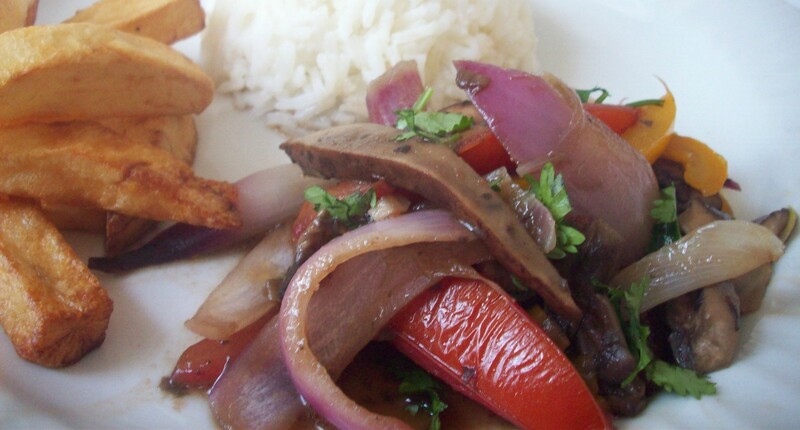 Thinking about this, it suddenly came to me that lomo saltado, our scrumptious beef stir-fry of Chinese origin, would make a marriage made in heaven when stuffed inside a corn tortilla in place of the typical rice and French fries that accompany it. The question is, how did I not think about this before? 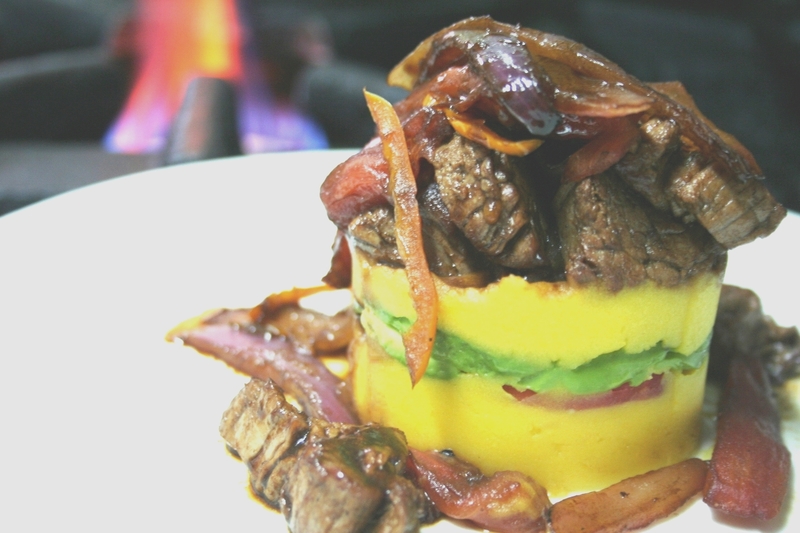 The traditional entree that every Peruvian loves, is a spicy and saucy melange of stir-fried beef bites, onion, tomato, and aji amarillo. The generalized enthusiasm for this dish is such, that it has resulted in a large number of variations: chicken, fish, shrimp, tofu, mushrooms…just think something up, and the variation probably exists. As I mentioned, for these tacos it’s probably a good idea to leave the French fries and the white rice out (we don’t want to exaggerate with the carbs now, do we?). A pretty green salad and more chili sauce on the side are a wiser choice. 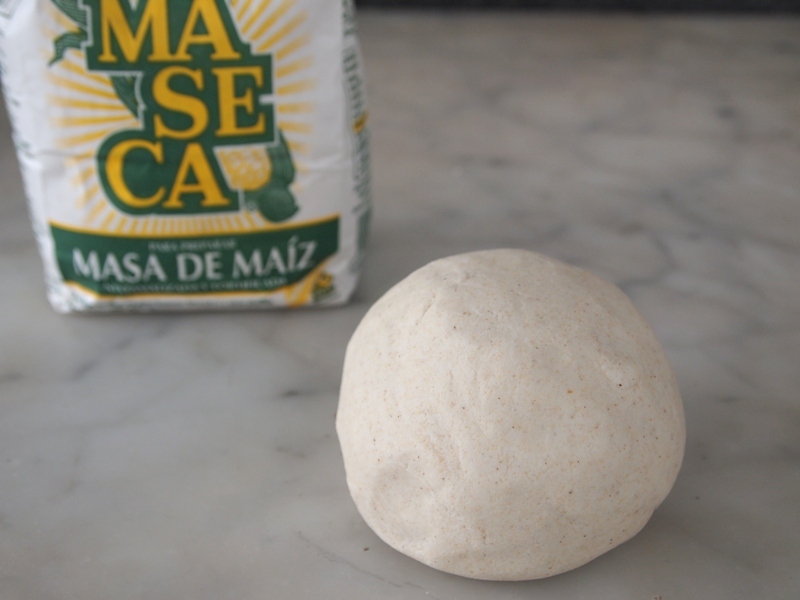 I love to make small tortillas with Maseca, -I’m crazy about the ones served with kimchi in NYC´s food trucks-, but for this recipe I chose to make them larger, like the ones I ate growing up in Nicaragua. 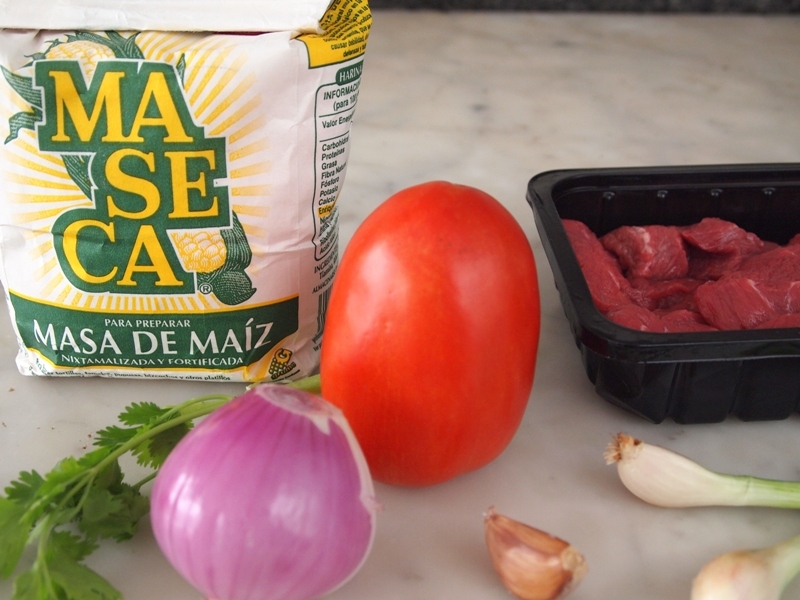 This way you can stuff much more of the scrumptious lomo saltado into them, and believe me, you will thank me for it.They are larger and thicker than Mexican tortillas, but if you are handy in the kitchen and prefer to make thinner tortillas, it is up to you. Being Central American, I always love having Maseca in my pantry, because it’s great to know you can have tortillas ready in the blink of an eye. It always fills me with joy and happy memories when they cook in the griddle and start puffing up like pita breads…and it’s cool to watch too! 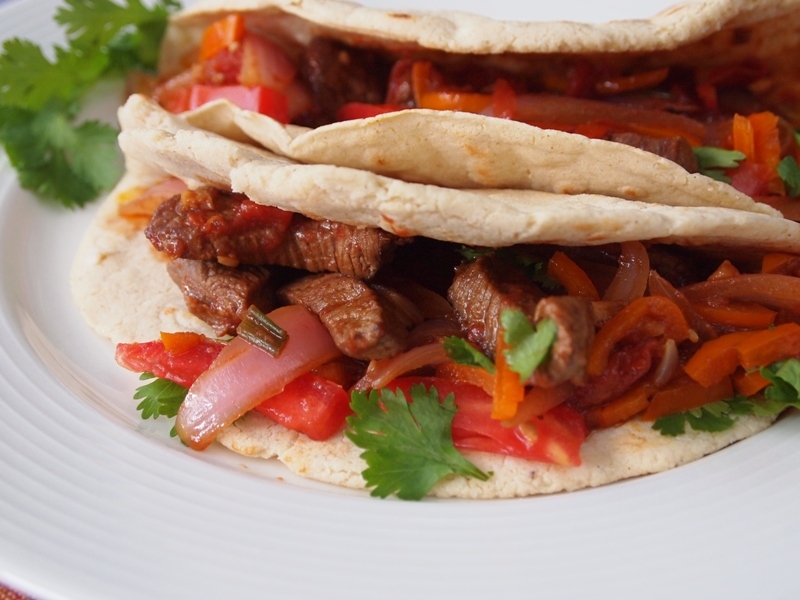 To keep tortillas warm, soft and pliable, I stack them and wrap them in a thick kitchen cloth, and as soon as the lomo saltado is ready, my tortillas are waiting to be filled with the piping hot stir-fry. Add some cilantro leaves, more aji or chili sauce on the side, and maybe a cold beer (and lemonade for the kids). What could be better than this? 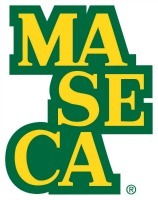 In a bowl combine Maseca and water and knead until soft. It should make a nice dough that doesn´t stick to your fingers. Cover with a cloth and rest for 5 minutes. Heat a skillet or a griddle over medium high heat. 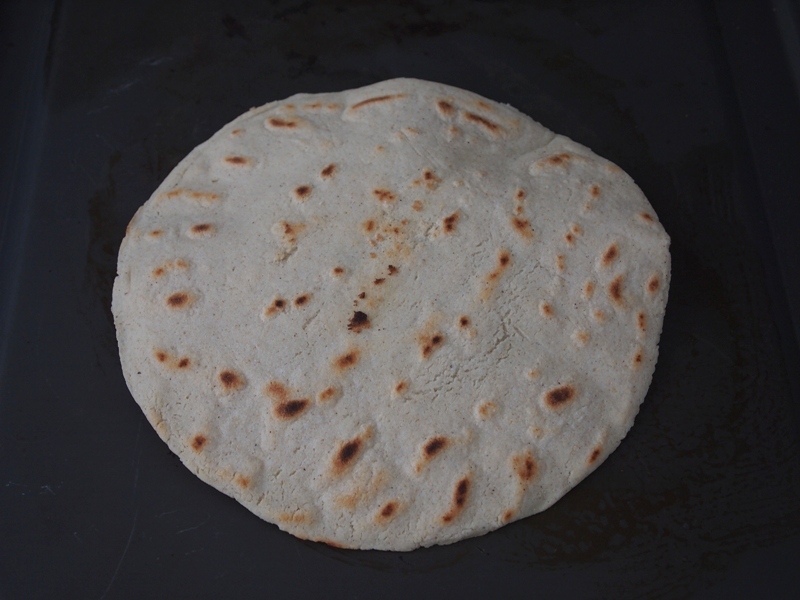 Take portions of the dough and flatten them to form medium sized tortillas. Cook them in the preheated griddle, turning them after 3-4 minutes. Keep them wrapped with a kitchen towel. Heat the oil in a wok over high heat. 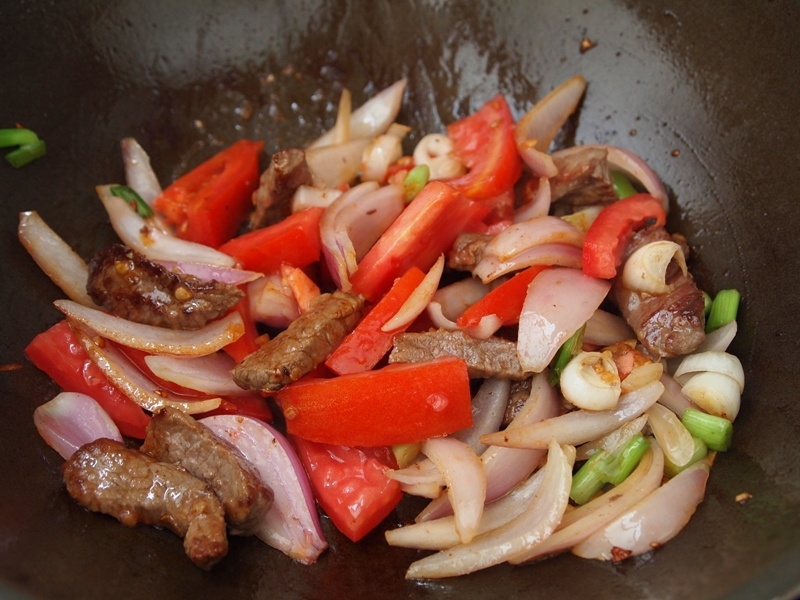 When very hot add the beef and stir fry, stirring constantly. 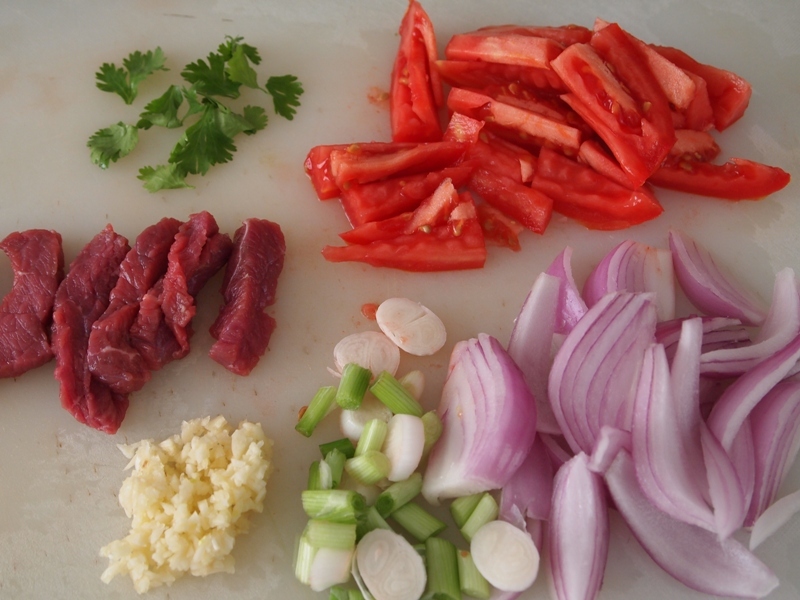 In quick succession add the garlic, onion, scallions, aji amarillo and tomato. Continue stir frying for a couple minutes. Add red vinegar and soy sauce, stir, and taste for seasoning. Serve inside the tortillas, sprinkled with cilantro and more scallions. 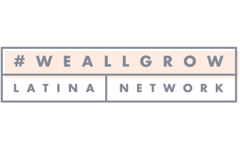 *This post was written in collaboration with Latina Bloggers Connect and Maseca, but all opinions and stories are our own. This looks fantastic! I’m in Brazil so hopefully I can find a lot of the ingredients. I was born in Peru but am now living in Texas…how did I not think of this sooner?! It’s genius–can’t wait to try it! Glad you like the idea. This tacos were amazing, really loved them! Thank you for this wonderful recipe! 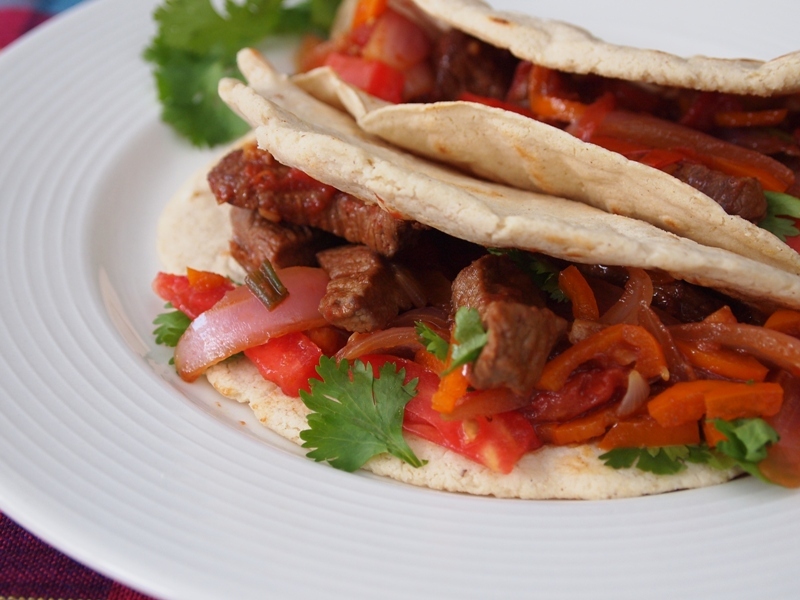 I have been trying all kinds of different taco recipes lately and this is one of the best. Simple to prepare and the combination of soy/red wine vinegar along with the heat from the pepper is delicious. No hot sauce or cheese needed at all. A bit of guacamole is excellent though to accompany. 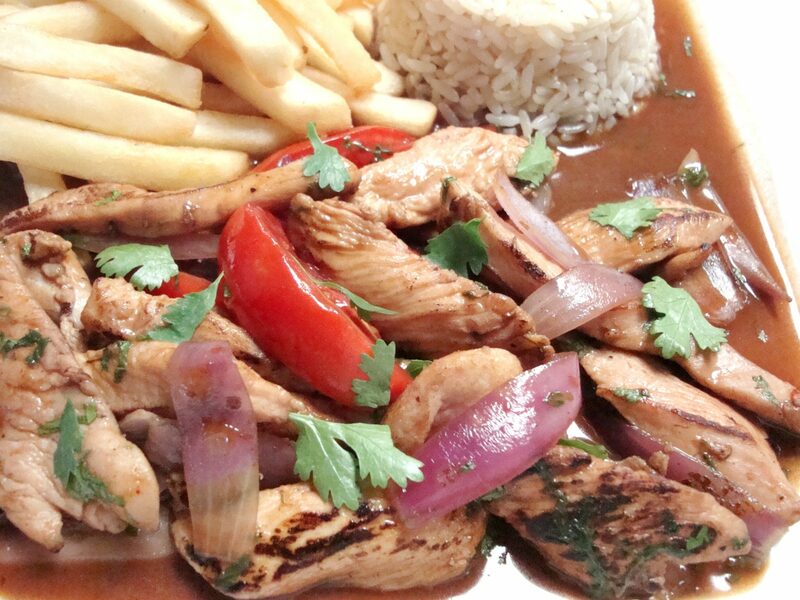 We don´t usually eat lomo saltado with avocado, but we´re open to trying anything! I’m thinking that the next step would be to make it into a burrito and include the rice and fries – perhaps with some aji verde.